When I was younger my Nana was trying to explain to me that sometimes in life it is hard to make ends meet. 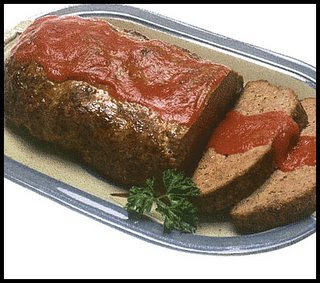 My young, very literal mind imagined this dish, much like a meatloaf or some kind of tasty Christmas cake - at the time I think I thought about mincemeat, something I had also heard about but never had the chance of tasting. I found myself wishing we were a little poorer at the time so I could have the benefit of trying this Ends Meat I heard so much about. I am not sure how long it took me to figure out that Ends Meat was not a tasty dish for the poor, but in fact was a phrase about struggling to survive. In fact as I grew older and learned how hard it can be to make ends meet sometimes, I found it is not very often that one can afford to eat meat, in any form, either the end or the middle. In ways I am still a very literal person – I was that kid after all who thought, for more years than I wish to admit, that a Dump Truck was called a Dumb Truck. Even after being lambasted by childhood friends for calling their toy truck dumb, it still took awhile for me to clue in to the proper name. If you have ever spoken to me in person, you may have noticed that some of the words or phrases that come out of my mouth make no sense. I am probably just confused, and may have been for sometime. So please, do me a favour, correct my vocabulary, trust me, I will not mind. Hey man, when is the next installment of your blog? This delay is @ss. How am I supposed to get through the next week of Ottawa drudgery? Thanks for doing it though, I appreciate it. Keep on given'r Bro!